We stand at an unprecedented opportunity within medicine and within rheumatology, in particular. Especially for conditions like rheumatoid arthritis or psoriatic arthritis, we have quite a number of very effective treatment options, unfortunately, they are often underutilized and, frankly, even as clinicians who are up to date on reading the literature, there often isn’t a great sense about what we should be doing and for what patients. For that reason, it is quite clear that patients are often now accustomed to settling for conditions and health states where they likely could be doing a whole lot better. In large part, that’s because patients lack evidence from clinicians, and clinicians, thereby, lack evidence from trials or other real-world settings about how likely any of these treatments are to help them using metrics and measures that a patient understands. In rheumatoid arthritis, for example, patients don’t care about what their disease activity score is; they don’t really care that much about how many tender and swollen joints they have. Those things don’t matter. The things that matter to patients are their level of pain, their function, whether they can participate with family activities and with social activities, and for all of those reasons trying to explain to a patient that it is worth it to consider a treatment change is often very lacking if the only outcome measures that we have are things that either patients don’t understand or that they would mostly find irrelevant. The good news, however, is that in 2017 and beyond, there is a great deal of interest and growing evidence around real-world data. The idea that we can go get data about what happens in the wild, in our routine daily practices, and we are now starting to use measures that actually matter to patients, so that we could tell me, “Mrs. Smith, I think you should consider this treatment option and here’s why,”and have information that would matter to her about her ability to function, to have improvement in fatigue, and sleep and mobility and not just how much her DAS might get better or what ACR scores are. But to do that we are going to need more effective data resources and real-world data including patient-reported outcome data about the various therapeutics that we have at our disposal. 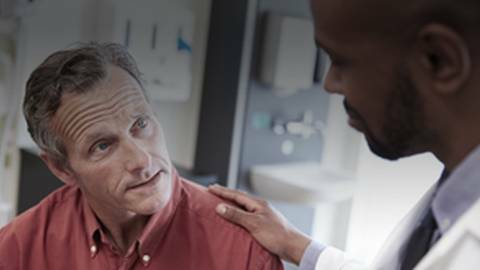 Dr. Jeffrey Curtis explores the reasons why RA patients resign themselves to settling for treatments that aren't fully successful. Dr. Jeffrey Curtis, William J. Koopman Endowed Professor in the Division of Clinical Immunology and Rheumatology at the University of Alabama at Birmingham, talks about the problem of settling for insufficient therapeutic responses in RA treatments, how to recognize when it's happening, and what health professionals can do to curb the trend.